Oftentimes, the secret to low vacancy and high tenant retention rates is the way you screen your tenants. For every landlord or property manager out there, a good tenant pays his dues on time, has a great rental history, and will cause the least amount of problems. Here are a couple of ways that will help you find the ideal tenants to fill your rental properties. Ask prospective tenants to submit an application. Instead of having interested tenants give you a call or send you a message, ask them to submit an application instead. There are many templates available online. Moreover, you can create your own to truly zoom in on the qualities you’re looking for in a tenant. Running a background as well as a credit check on potential tenants involve a bit of an investment, but it lets you know whether they are in good shape to rent your property for the short or long term. In the aforementioned application form, let prospective tenants know you’ll be conducting several checks on their personal as well as financial background. Some landlords have extensive checks performed, going so far as to check public and criminal records. You don’t have to− personalize the background check to get the information you need. Job applications require individuals to submit references to attest to their good character and conduct. You can as well. These references can range from prospective tenants’ close friends and family to professional links such as their current employers. If your prospective tenant has an outstanding relationship with his former landlord, he or she might also put that forward as a reference. Invite prospective tenants who passed the initial stage (the application) to an interview to get to know the actual person. You can do this by going on a quick phone interview or inviting the potential tenant out for coffee or tea. Although the application form will give you important details, you can only get to know the character of a person if you actually talk to him. During the interview, do not hesitate to ask questions about their lifestyle. This will give you a good look into the person’s day-to-day activities and help you maintain realistic expectations. While you are free to conduct tenant screenings and interviews, it is important to be adhere to the Federal Fair Housing Act. 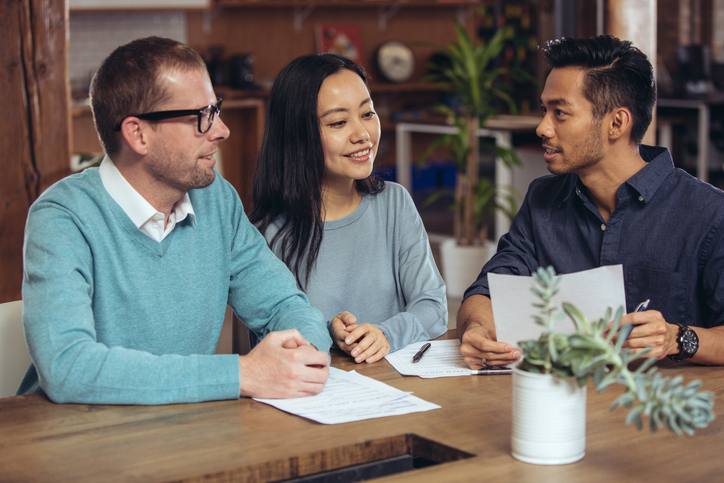 This ensures that prospective tenants or home buyers won’t be discriminated against based on their race, ethnicity, and sexual orientation, among other things. You can read more about the Federal Fair Housing Act here. Ray Amouzandeh of TARGA Residential Brokerage knows all about conducting tenant screenings fairly. Get in touch with him today at sfhomez(at)gmail(dotted)com or (415) 494-7009.